For years, Dr Iqbal has been at the forefront of cosmetic dentistry, travelling worldwide to offer his patients the latest techniques. The latest of these exciting treatments at Sandes Avenue Dental Practice is Fastbraces® in Kendal. Dr Iqbal is proud to be the first dentist in the UK and most of Europe to offer this revolutionary new system. This amazing new technology can now straighten teeth in usually 3 to 10 months. Historically, braces would move the crown of the tooth the first year and typically the root of the tooth the second year, thus requiring two years of treatment. Fastbraces® technology works on a different mechanical principle.The brace is constructed using a patented triangular design so that the braces can move both the crown and the root of the teeth at the same time therefore reducing the treatment time. Sandes Avenue Dental Practice is utilising this advanced technology to solve the biggest barrier to getting a beautiful smile across the Kendal area; the length of treatment. The treatment is usually carried out and completed within 3 – 10 months. 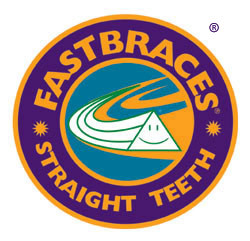 With Fastbraces® there is usually no need for teeth to be removed prior to treatment commencing; an all too familiar occurrence with conventional braces. Don’t hesitate to contact us to discuss any aspect of your dental health or to talk about our creative financing options – no-one should be denied the proper dental care because of money. !